Constipation is condition wherein the stool frequency reduces up to three times per week with difficulty in stool passing. Chronic constipation is a highly common functional gastrointestinal disorder that adversely affects patient’s life. Chronic idiopathic constipation is defined as the presence of chronic symptoms of constipation with no well-defined underlying cause. The symptoms of chronic idiopathic constipation includes infrequent bowel movements, hard stools, straining during defecation, feeling of incomplete evacuation, abdominal discomfort, and bloating sensation. 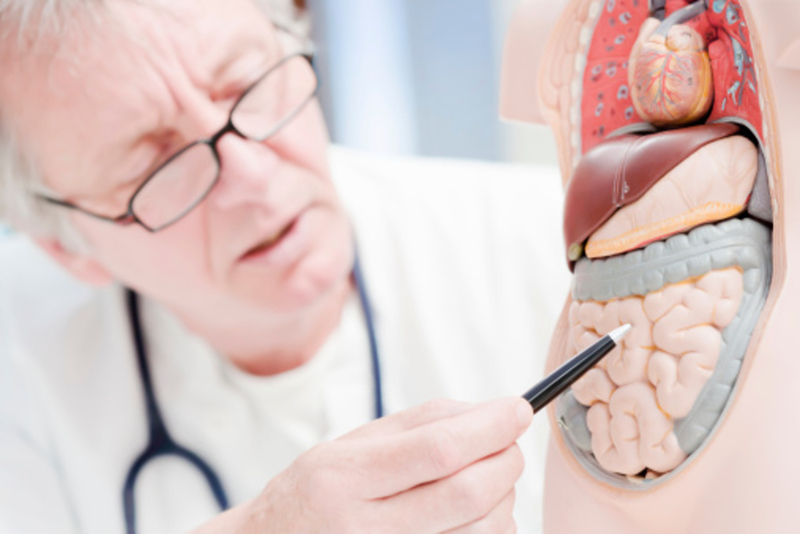 Chronic idiopathic constipation is diagnosed by laboratory tests, endoscopy, radiological tests, magnetic resonance imaging, and physiological testing. Currently, very few approved treatment options are available for chronic idiopathic constipation, which is expected to be a major factor restrain growth of the chronic idiopathic constipation treatment market. However, this gives opportunity for the market player to come up with the novel treatment to grab the foothold in growing chronic idiopathic constipation treatment market. Increasing clinical trials and approval of drug candidates by pharmaceutical companies to fulfil unmet medical needs of the chronic idiopathic constipation treatment is a key factor driving the market growth over the forecast period. For instance, March 2018, Shire plc received new drug application from U.S. FDA for its drug candidate, SHP555 (prucalopride) for the indication of chronic idiopathic constipation in adults. Moreover, in 2015, SHP555 (prucalopride)received approval from European Commission for the symptomatic treatment of chronic constipation in adults with failure of laxative treatment. Furthermore, Renexxion is conducting phase 2 clinical trial for Naronapride (ATI-7505) for the treatment of multiple gastrointestinal disorders, which includes chronic idiopathic constipation. In 2017, FDA approved Ironwood and Allergan’s Linzess (linaclotide) for the treatment of chronic idiopathic constipation. However, 50% of patients with chronic constipation dissatisfied with their current treatment, mainly because of the lack of efficacy, which highlights a continued medical need for more effective and safer therapeutic agents. However, the use of alternate therapy such as home-based remedies and herbal medication such as herbal laxative, probiotic foods etc. are expected to be major factors hindering the chronic idiopathic constipation treatment market growth. Regional segmentation of chronic idiopathic constipation treatment market by Coherent Market Insights includes North America, Latin America, Europe, Asia Pacific, Middle East, and Africa. North America chronic idiopathic constipation treatment market holds dominant position owing to high percentage of population suffering from chronic constipation. For instance, according to European Journal of Pharmacology, 2017, in the U.S. 12%–19% of population suffers from chronic constipation. This is expected to aid in growth of the market in the region over the forecast period. However, Asia Pacific is expected to witness the fastest growth, owing to increasing prevalence of constipation in the Asian countries. According to Journal of Neurogastroenterology and Motility article 2016, in Asian countries such as China, Korea, Hong Kong, and India, the prevalence of constipation reportedly ranges from 8.2% to 16.8%. This is expected to support growth of the chronic idiopathic constipation treatment market size over the forecast period. Key players in chronic idiopathic constipation treatment market are Ironwood Pharmaceuticals, Allergan, Synergy Pharmaceuticals, Inc., Shire plc, and Mallinckrodt plc. The presence of very few market player provides wide opportunity for new entrant in chronic idiopathic constipation market. Moreover, in February 2018, Mallinckrodt plc, global specialty pharmaceutical company, announced acquisition of Sucampo Pharmaceuticals, Inc., a biopharmaceutical company. The acquisition assets includes its FDA approved blockbuster drug Amitiza (lubiprostone) for the treatment of chronic idiopathic constipation (CIC) in adults, irritable bowel syndrome with constipation (IBS-C). The Sucampo Pharmaceuticals, Inc. also partnered with Par Pharmaceuticals, Inc. and Dr. Reddy’s Laboratories Ltd. As a part of the agreement both the partners were granted a non-exclusive license to market Par's generic version of lubiprostone in the U.S. from January, 2021. Such inorganic strategies of market players are expected to boost growth of the market significantly over the forecast period. In 2012, Ferring Pharmaceuticals acquired the rights for development and commercialization of Elobixibat, first-in-class compound for chronic idiopathic constipation from Albireo AB, a Swedish biotechnology company. Further, in 2013, Ferring Pharmaceuticals, initiated phase III clinical trials of Elobixibat.